Human Grade Canine Cuisine Inc.
"Premium Human Grade Food For Dogs Individually Baked Then Frozen"
Welcome to human grade doggie cuisine, we offer "healthy dining delights" for dogs. Our products are all baked at a low temperature in our plant in Brampton, Ontario utilizing only fresh human grade ingredients. human grade doggie cuisine offers a healthy alternative to commercial processed dog food because we believe pets should enjoy the same nutritious foods that humans are able to eat and have come to expect as a "healthy choice". Our tasty nutritious food for dogs is that "better choice" and ensures a healthier lifestyle for your pet. OUR PRODUCTS ARE INTENDED FOR BOTH SMALL AND LARGE BREEDS. We often hear the comments, "Larger dogs do not live as long as smaller dogs." We believe one of the reasons for this is because small to medium sized dogs tend to eat better food than large dogs and that is usually associated to cost. Now you can get the proper food at a competitive price; check out it out. You will be surprised how well we compare! 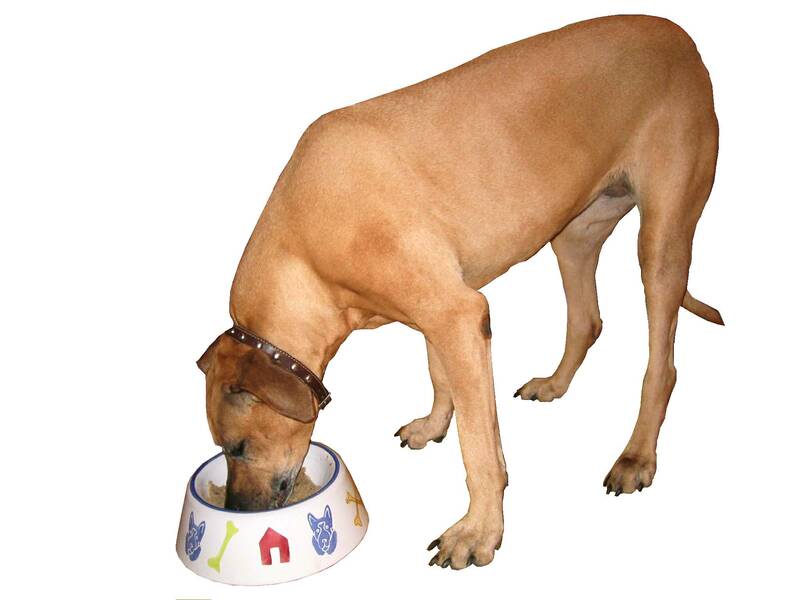 The cost of feeding a large dog is more, and therefore many large dogs get stuck eating "lower priced Kibble" that costs less and filled with less nutritional ingredients. Poor quality dry and canned food can also create an "hungry effect" (because their body knows it needs more to obtain the proper nutrition they need) and in some cases they are being "nutritionally starved", which in turn can lead to a shorter life. Large dogs that live longer tend to have been fed better quality food. Over the past three years, human grade doggie cuisine has been cautioning pet owners about the danger of feeding many of the commercial processed dog foods because of inferior ingredients being used to keep costs in line. We do not advocate these types of products as being the best choice for your pet and is the sole reason we created our human grade food for dogs. Last year's major pet food recall was linked to tainted low cost foreign ingredients that caused both death and damage to the health of many dogs and has reinforced our concerns about the poor quality of food being offered. It was amazing to see how many brands, both low cost and expensive, came from the same facility, and used the same ingredients. How can you be sure of what you are getting?? Our continued commitment to you is to ensure your pet is eating only the best North American ingredients when eating human grade doggie cuisine. Please scroll down for more information on our products. You get all the nutritional benefits of home cooking for your dog but we do the work! Fresh vegetables, eggs and fruits bought daily. Our high quality meals for dogs provide three distinct complete balanced muscle and organ meat based diets with NO CROSS MIXING OF MEATS. A BEEF meal, a CHICKEN meal and a LAMB meal, each with the proper ingredients to provide the nutrients and exceptional aroma and flavor all dogs love. This unique product is for dog lovers looking to replace traditional nutritionally lacking commercial dry, raw, and canned dog food with the best natural baked food available for their dog. The Dog Food Market Is Evolving and Growing. "More and more veterinarians and breeders are recommending COOKED human grade food for dogs to replace traditional nutritionally lacking commercial dry and canned dog food - but there are not a lot of places to obtain it." Unlike cats, dogs are not strictly carnivores and require additional nutrients like humans, which they may not be getting in the proper proportions with dry dog food. "Problems can and do occur if raw foods are fed. For example, meats should not be fed raw because of the danger of transmitting parasites (e.g. toxoplasmosis) and harmful bacteria (e.g. Salmonella, E.coli, Enterobacter, Pseudomonas, etc.)." In addition, studies show that most dogs and cats prefer cooked meat." People would not eat any of the above dog foods that are commercially available, why should their dogs? Reconsider the daily food choices you make for your pets! You cannot expect to maintain your dog's good health, zest for food, weight and energy level on over processed, denatured, contaminated foods or table scraps. The composition of dog food is very important in order to provide a dog's optimal health and interest in their food, especially as they grow older. There are alternative ways of feeding your pet to make necessary healthy changes! You must be sure the diet you prepare contains the proper amount and balance of all nutrients. One ingredient does not counteract with another. The ingredients are easily digested, absorbed, and utilized by the pet. Many people would prefer this type of food for their dogs, but unfortunately do not have the time or inclination to make it themselves. THAT'S WHERE HUMAN GRADE DOGGIE CUISINE COMES IN! We provide a complete balanced natural meal for your dog that contains only the best fresh ingredients carefully prepared and baked together in a formulated, nutritionally balanced recipe WITHOUT any hormones, antibiotics, salt, sugars or preservatives! 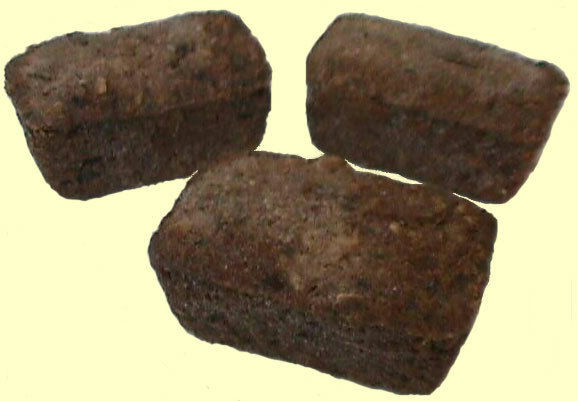 human grade doggie cuisine's Food For Dogs is lovingly baked for your "Best Friend" then frozen for easy handling and storage. human grade doggie cuisine's Food For Dogs provides a better response to your dog's different needs and energy levels. All human grade doggie cuisine's baked meals for your dog offer premium complete balanced diets and provide healthy, natural nutrients your dog requires including all the vitamins, minerals, trace minerals, enzymes and antioxidants! human grade doggie cuisine provides three distinct balanced meals - BEEF, CHICKEN OR LAMB and contains NO animal or vegetable by-products. human grade doggie cuisine's Food for Dogs is available at over 90 authorized retailers in Ontario at this time (and growing). We also provide frequent buyer programs through the retailers, ask one of the participating retailers for details. © 2005 Human Grade Canine Cuisine Inc.